Versatility is the name of the game when it comes to today’s pool trends. No longer are pool owners stuck with a few boring options. Now, you can customize everything from interior color to accessories, to lighting and more. 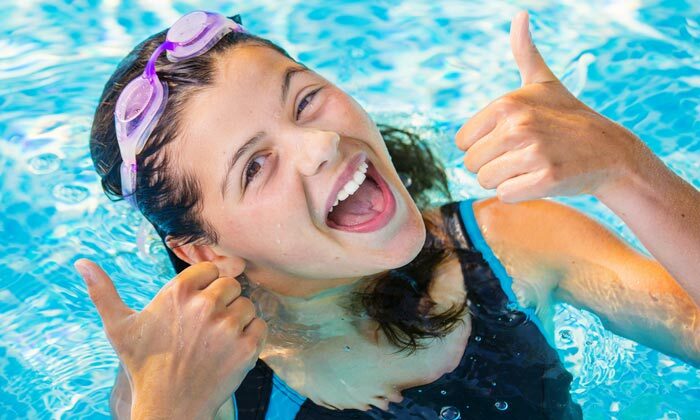 In this second article of our series on hot pool trends (see Part 1), we’ll take a look at a couple of popular pool design features and the benefits they have to offer. Perhaps you can remember a time when swim up bars were rarely seen outside of luxury hotels in exotic destinations. Those days are long gone. Now, these refreshing in-pool food and drink stations are popping up in backyard pools across the globe. If you love to entertain in your pool and you’re relaxed about people eating and drinking while in the water, a swim up bar could be ideal for your situation. Your guests will love getting to casually swim over to the bar for a refreshing drink or snack. These bars aren’t only used for indulging in treats and beverages. They can also come in handy if you want to play a game of checkers, cards, or dominoes while still keeping cool in the water. A swim up bar is the ultimate pool design feature for those who regularly host gatherings with friends and family around their home swimming pools. If you’re looking for a way to make your backyard pool even more of a fun attraction, a swim up bar is the perfect pool design element for you! 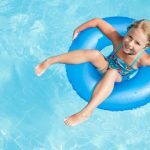 In case you haven’t heard of these wonderfully relaxing pool design features, sun shelves are raised ledges that are built right into the sides of your pool walls. 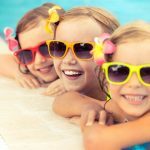 Some pool owners opt for just one small sun shelf, while others line practically the entire pool interior with these convenient in-pool seating areas. Sun shelves are a great place to put your chaise lounge when you want to spend some quality recreation time right by the water’s edge without actually getting into the pool. Imagine yourself reclining close enough to the water to dip your fingers and toes in while soaking in some rays with a good book. It doesn’t get much more relaxing than that, does it? If you feel like taking a dip, you can simply slide off into the water. These ledges are also ideal for parents who want a shallow place to sit while letting their toddlers play beside them in the water. 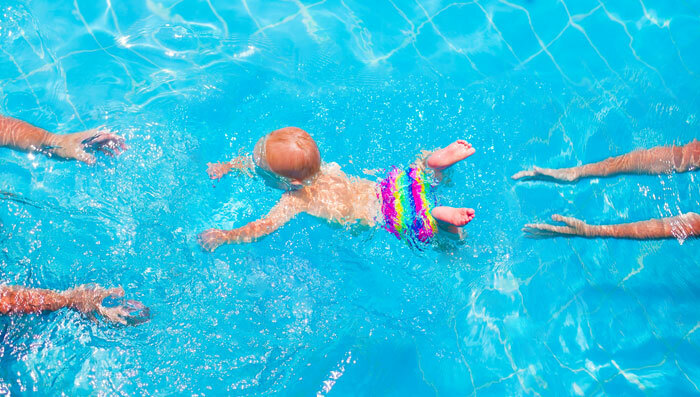 If you get tired of standing and holding up a little one while you’re in the water, a sun shelf could be the answer to your problem. Perhaps you have a child that’s not big enough to touch the bottom but gets bored constantly sitting in a pool float. The sun shelf could be just the right height for them to splash around with you sitting serenely next to them at arm’s length. 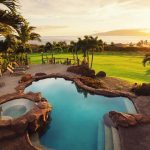 These pool design features will add convenience and comfort to your backyard recreation experience. In the next installment of this series, we’ll take a closer look at some cutting-edge pool lighting trends that can enhance the mood and style of your pool. 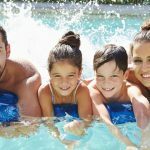 • A Pool: Your Next, Best Family Vacation!